ERS Workflow Process Manager is used by EDW system analysts to automate business processes. This framework to integrate business applications and automate business processes was designed based on standards defined by the Workflow Management Coalition. 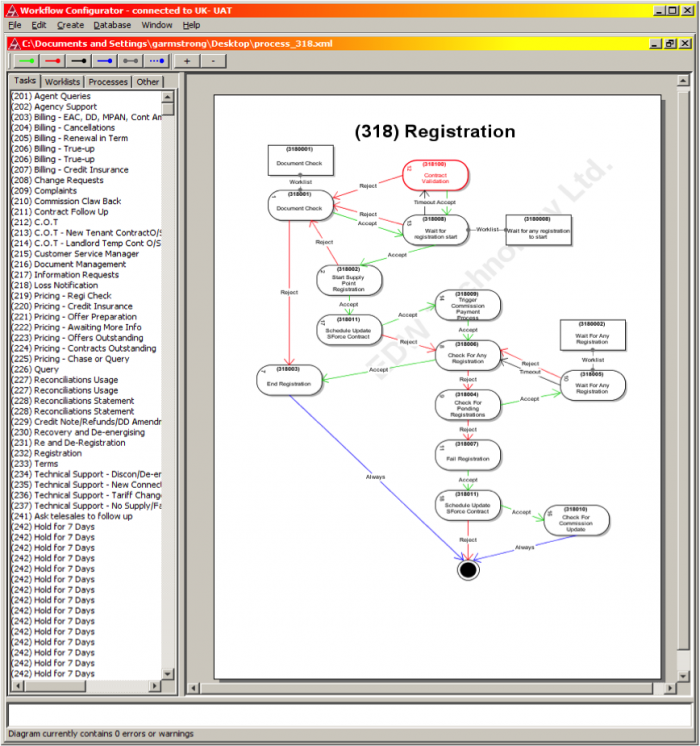 ERS Workflow Process Manager allows business processes to be modelled graphically and these are then used to generate business rules held in ERS. A workflow process is a map of workflow tasks and transitions that define the processing that will occur on a workflow case. ERS Process Manager maintains the state of each case, or item of work, in the system and identifies the stage in the business process that the case has reached. It will then determine which task is to be carried out next and identifies when the case has been completed. It initiates the execution of each task, or step in the business process, for each case. Work lists are used when a pause in the process is required, to wait for a response from a user, business application or external data flow from the DTN.